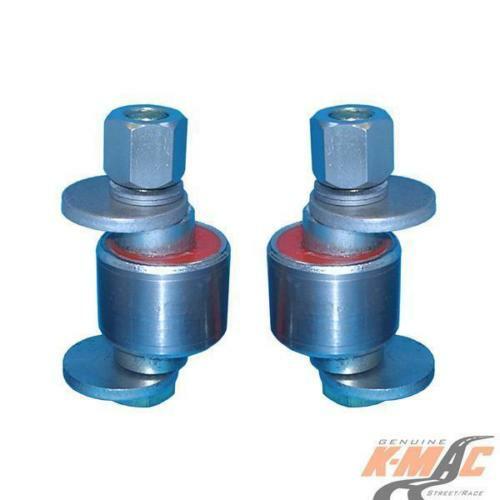 K-MAC patented design precisely Camber adjustable bushes. 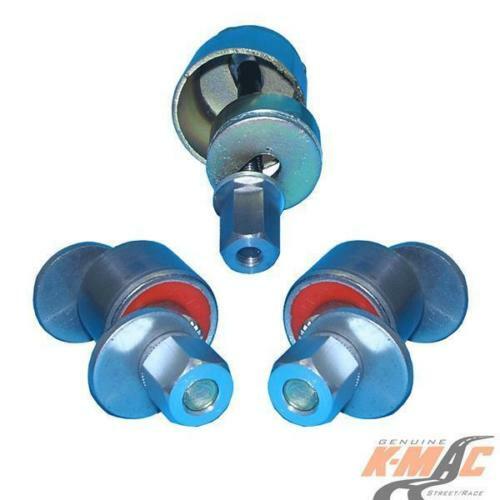 Revolutionizing the industry – No more need to disassemble each time and re-position adjustment settings. 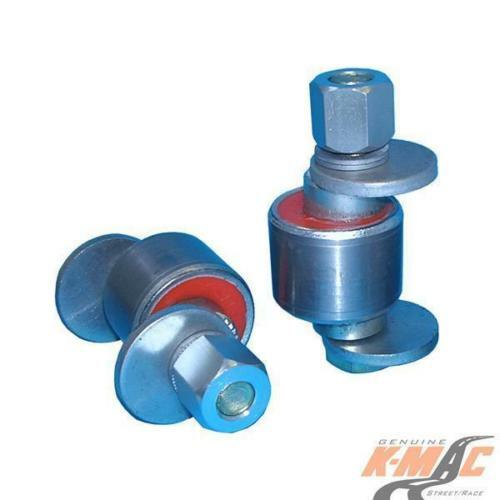 Now with K-MAC it’s single wrench adjustable on car accurately (under load) direct on alignment rack. 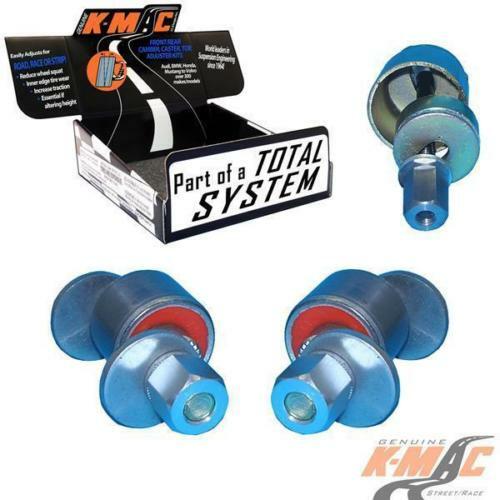 Resolves costly premature edge tire wear and improves traction. Track days being able to increase negative camber and track width to reduce understeer, allowing to go deeper into the corners with improved traction, braking and cornering response. Along with improved ability to hit those corner apexes every time in the pursuit of pole setting lap times! Bush extraction and insertion tubes supplied.